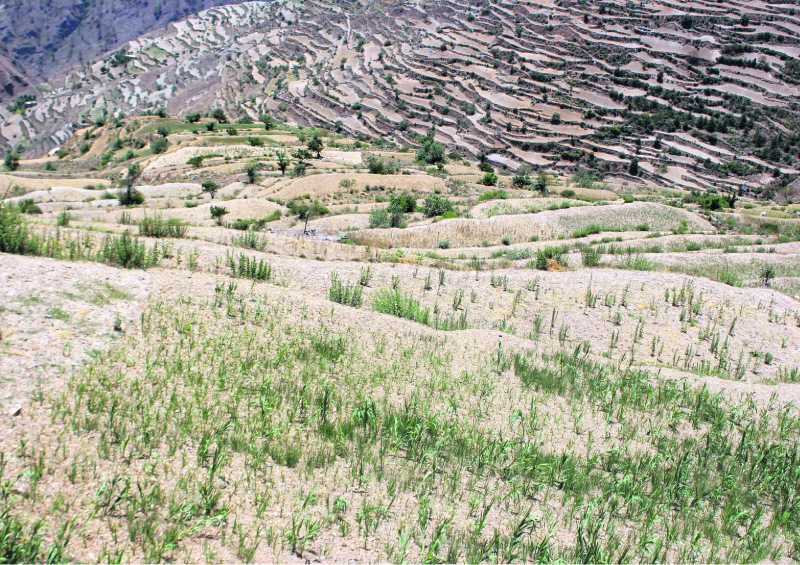 MUGU, July 3: The prolonged drought in Soru rural municipality which lies in the northern part of Mugu has destroyed the crops leaving hundreds of farmers in despair. This area has not seen rainfall for the past several months. Summer crops including barley, wheat and paddy among others have dried in the field. The drought has especially affected the crops in the former Jima, Bhiee, Fotu and Narthpu VDCs while it has slightly damaged the crops in Rara, Kalai and Dhainakot areas. Local farmers fear that they might face a food shortage similar to that of two years ago. According to the locals, there is no sufficient land to dig canals for irrigation, so they are fully dependent on rainwater for agriculture. Two years ago, a major drought had caused acute food shortage forcing hundreds of youths to go to India for work. “Even this year, many families are worried that they might have to send their loved ones to India once again,” said Hira Lal Shahi, a teacher of Narthpu. 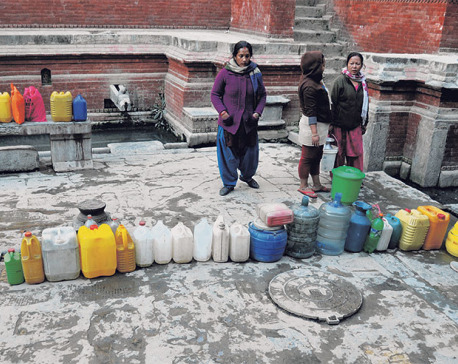 Water sources in the area are also drying up and locals are already experiencing shortage of drinking water. Also, the grazing grounds in the affected areas are gradually turning barren affecting the livestock. According to Raj Bahadur Malla, a local of Banjaya village, they are already finding it difficult to feed the cattle. Also, the children have developed various health problems caused due to the dtrought. Many children have developed fever, common cold, coughing and digestive problems, the villagers said. 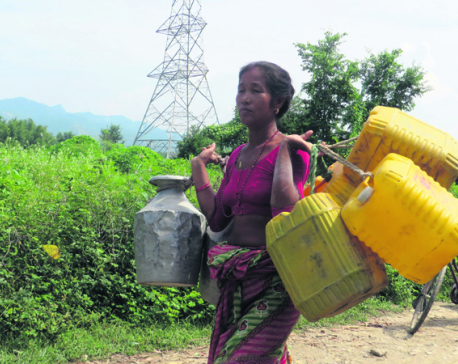 Ram Surath Pal, an officer of the District Agriculture Development Office said his office is planning to send a few officers and technicians to the drought affected areas to see what can be done to reduce the damage caused.